So it was with some trepidation that EIN viewed yet another release looking at Elvis' demise. However we were very pleasantly surprised. The Last 24 Hours is a well constructed documentary visually reconstructing the final day of The King's life interspersed with very candid, interesting recollections by members of the Memphis Mafia (MM). From the documentary's opening music: Walking In Memphis by Mark Cohn, you know you are in for a solid, well constructed special. The recollections of the MM members offer significant insights to the psychology of both Elvis and the Colonel, while Elvis' abuse of prescription medication and deteriorating physical condition is comprehensively addressed as are his financial problems. Interestingly, The Last 24 Hours has a clear agenda and that is to condemn the role of Colonel Tom Parker. 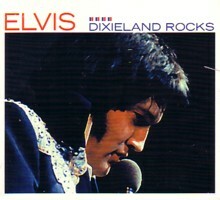 The documentary continually reinforces its message that the Colonel saw Elvis as "his personal cash cow". A recurring theme is that Elvis was the instrument that could save the Colonel from bankruptcy, allowing him to meet his staggering gambling debts. For instance, at one stage Larry Gellar recalls the night he saw the Colonel lose $1.5 million dollars at a casino! The documentary is nicely edited with good pacing and a subject matter that continually engages the viewer. The stories told by the MM members are both candid and caring, if at times unsettling. Marty Lacker recalls the days when Elvis would open the Graceland gates and allow all the girls gathered there to come inside the mansion. Marty counted the number of girls there one night...a staggering 152! Larry Gellar recounts several powerful and disturbing incidents. One was the time Dr Nick was forcing a near comatose Elvis head first into a bucket if ice cold water in an attempt to revive him and all the Colonel could say on observing the scene was: "The only thing important is that man is on stage tonight, nothing else matters". Jerry Schilling tells a not dissimilar story about Elvis' failing physical condition in recalling the time Elvis rang him to say he was lying on the floor and couldn't get up. Lamar Fike has a wonderfully dry sense of humor and throughout the documentary offers some intriguing lines: "You've got to weed the squirrels from the lambs". In context, it is a very perceptive and telling comment. The Last 24 Hours includes some great home video material such as the Eddie Fadal footage from the 1950s and audience filmed scenes of Elvis in full flight on stage during the 70s. Technical details: the audio quality is excellent (Dolby Digital 5.1). The video quality is necessarily variable due to the archival footage featured, although the studio and location shot footage is professionally first rate. The DVD comes only in English with Dutch, French, German, Italian and Spanish sub-titles. DVD extras: the DVD features a swag of bonus extras. There is Elvis' death certificate, his Last Will and Testament, a filmography, and an album discography covering the period 1956 to 2000. There is also a very interesting hour long audio documentary of The King's musical story called Spotlight on Elvis (now where have we heard those words before). The Booklet: the package comes with an attractive 12 page booklet. It includes Elvis' last handwritten letter together with a handwriting analysis, and a copy of the Medical Examiner's report. The CD: the 11 track CD features the legendary Jordanaires backing one of Europe's best Elvis tribute artists, Johnny Earle. 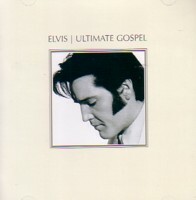 The disc includes a very good gospel medley (Lighthouse; Lead Me, Guide Me; Rock My Soul) and other Elvis standards such as King Creole, Hound Dog, Don't Be Cruel, American Trilogy, Don't, Too Much, Love Letters and Suspicion. Johnny Earle has been around for a long time and while he doesn't resemble Elvis to any great extent, his voice is certainly reminiscent of Elvis'. Verdict: Elvis Presley The Last 24 Hours is an excellent DVD/CD release. It distinguishes itself from similar documentaries by its high production qualities and many bonus features. It offers very good value for money.